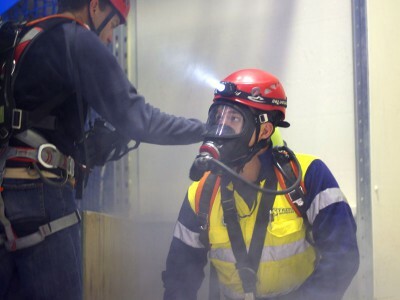 Equips workers with the skills required to safely inspect, maintain and operate self-contained breathing apparatus (SCBA). 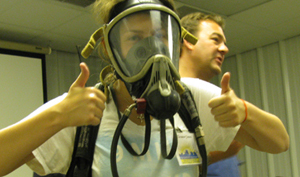 Our breathing apparatus training course will equip you with the skills required to safely inspect, maintain and operate self-contained breathing apparatus (SCBA). 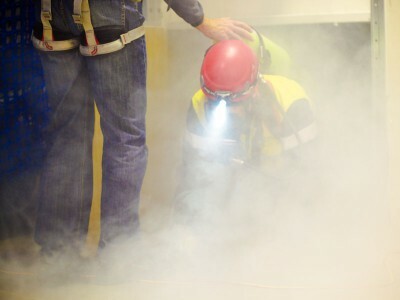 This training will be suitable for both confined space workers, or workers who may be required to use breathing apparatus during fire or in hazardous environments. All necessary equipment will be provided. Participants must be clean shaven. The unit of competency demands that students “Don the apparatus in accordance with workplace procedures and the manufacturer’s specifications.” The manufacturer’s specifications state: “The sealing line between head and facepiece must be free of hair and foreign substances which could cause leakages”. Furthermore, AS 1715 requires users to be clean shaven. I really respect the way your RTO goes about training. This was my second course. 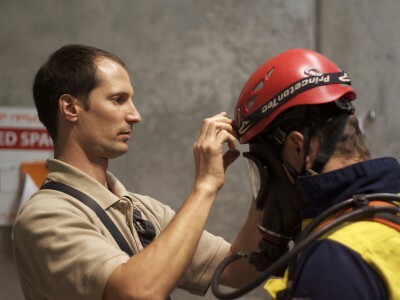 I’m still doing another two courses with Pinnacle and also considering a Cert 3 in Mine Rescue in Brisbane after those. I think the professionalism of your team will definitely prepare me for a variety of roles in the future. I am very confident the skills I have learned at Pinnacle are industry best practices and of the highest level.